Our Travel photographer was in the right spot to catch this elephant’s game approach to reaching a fresh foodie treat. I’m at the Sabi Sabi Private Game Reserve’s Selati Camp in South Africa’s famous Kruger National Park. It is late afternoon and light rain is falling and I’m sitting on the deck overlooking the seasonal Msuthlu River bed. 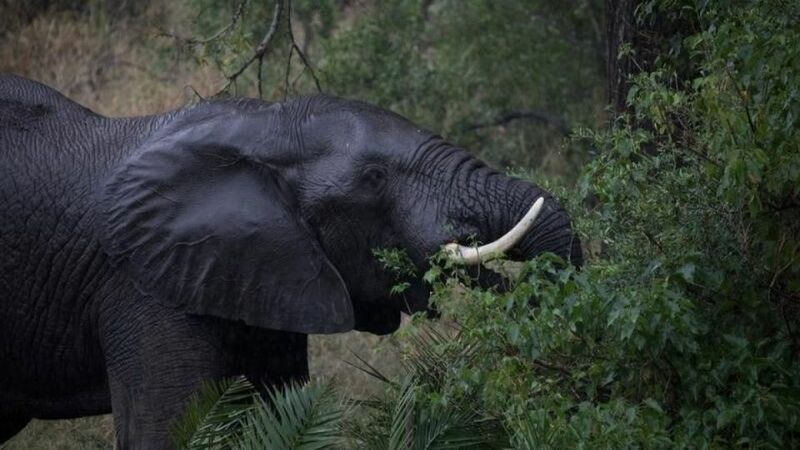 A big elephant emerges from the bush on the far side of the river. He is a beautiful specimen, his large white tusks a sharp contrast against his dark-grey wet skin. He stops to enjoy a snack at some trees along the riverside but spots some more appealing trees at the bottom of the river. I can almost hear him thinking — how do I get down there? It is a steep 10m-high bank. First, he carefully approaches using his front legs as brakes while he kneels down on his back legs. “Hmm,” I imagine him thinking, “this doesn’t feel safe! Mogens Johansen stayed at Selati Camp as a guest of Sabi Sabi Private Game Reserve and South African Airways. They have not seen or approved this story.